But no. Apparently the world keeps turning, and the fact of the matter is that I do love Austen in August, and I do love the enthusiasm and discussions you guys bring. And I have been bookmarking pages and jotting notes of things I want to share for AIA, so clearly I made my mind up without informing the rest of my mind? That's how that works, right? 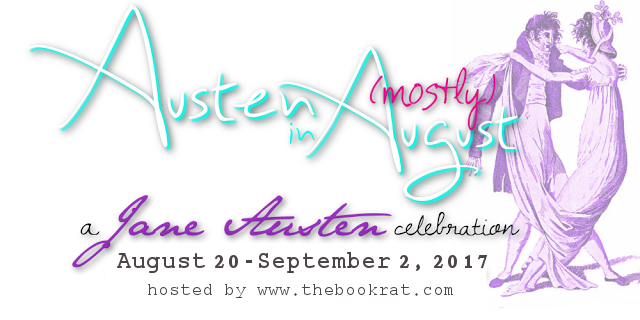 Austen in August is a celebration of all things Jane Austen, featuring reviews, discussions, vlogs, giveaways, interviews and more! [See years one, two, three, four, mother-freaking five, because it's been half a decade, yo!, six, because we didn't stop there, and holy crap seven -- we've been doing this for so long!] You can stop by any time during these 2 weeks and get lost in Austen. It's all very austentatious. . . alright, I'll stop now. It runs AUGUST 20th through SEPTEMBER 2nd, and everyone is welcome to participate. You can just read and comment on the daily posts, if you'd like, but as always, I will also be welcoming guest posts. Wanna review or giveaway your favorite adaptation? Share your Top 5 MOJ (Moments of Jane)? Discuss why Edmund is actually totally a catch *gag*? I'd love to host your awesome post! Fill out the form below with what you'd like to do and I'll reserve a spot for you! Once again I will be hosting an Austen Read Along to coincide with the event, but hey! We've worked our way through all of the Big Six! We could read the juvenalia, or letters, or anything really, but I thought it could also be fun to start in on some adaptations! What say you? Answer in the poll below, and I'll update with what we're reading in about a week! So if you're interested in being a featured guest right here on this blog (or on my vlog! ),fill out the form below! It'll remain open for the next few weeks, after which you can email me directly if you're still interested. Yay! glad you're doing it again, Misty.